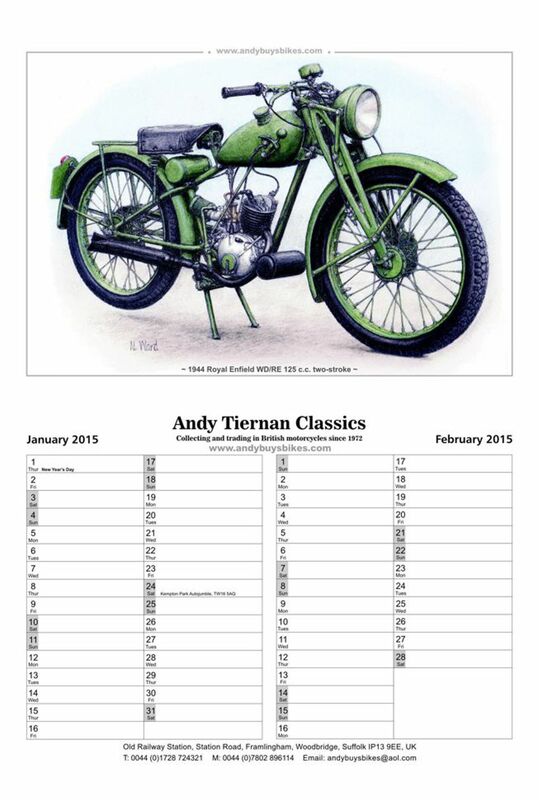 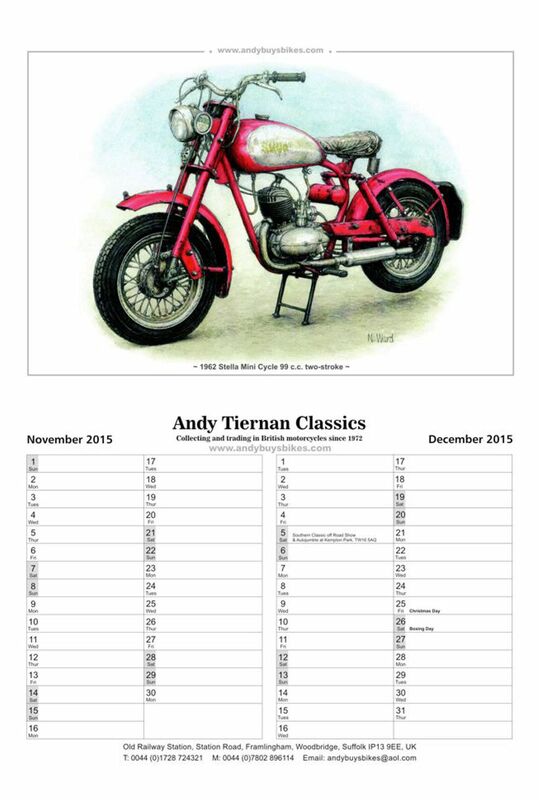 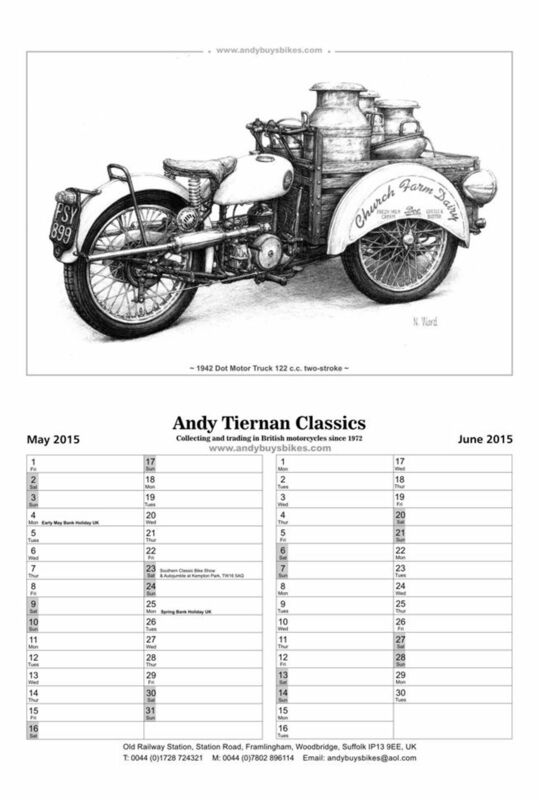 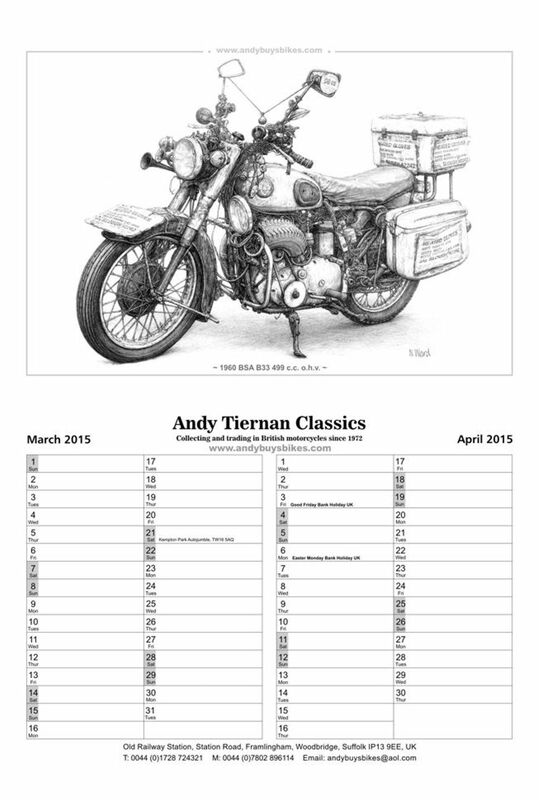 A big thank you to everyone out there who purchased our 2015 Andy Tiernan Classics Calendars. 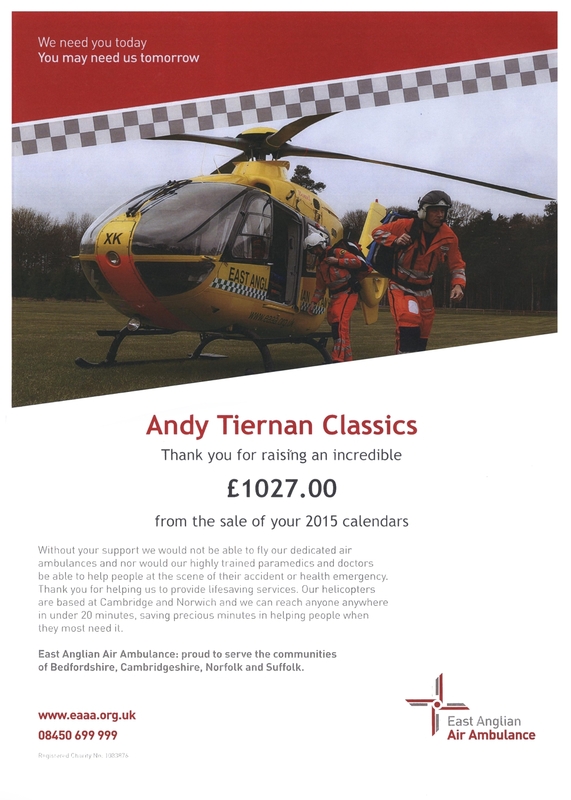 Together we raised £1,027.00 for the East Anglian Air Ambulance. 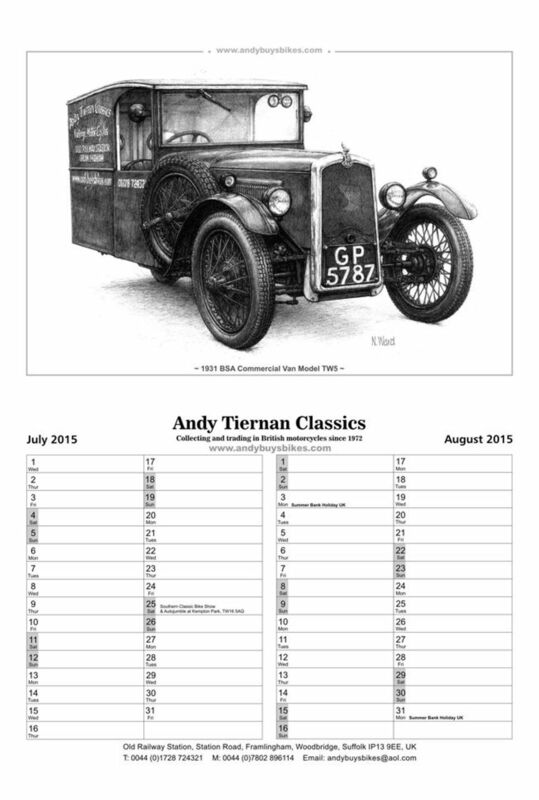 Don't forget we will be producing another calendar for 2016! 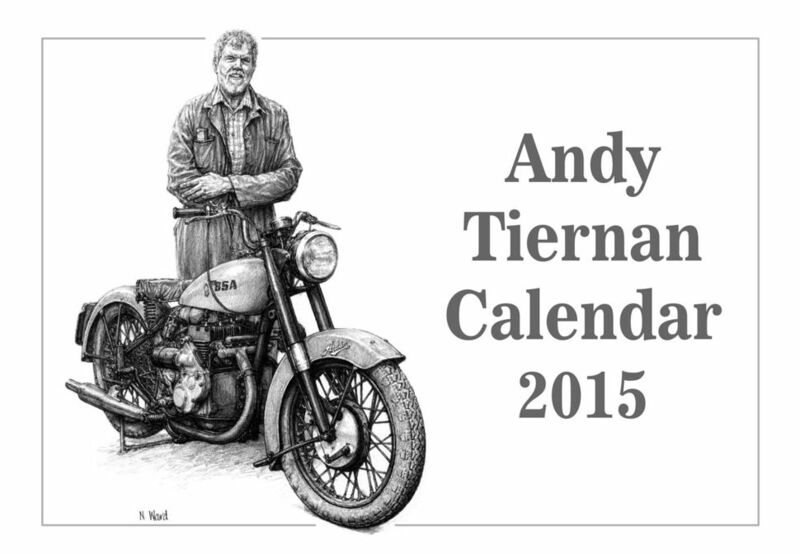 The 2015 Andy Tiernan calendar is here. 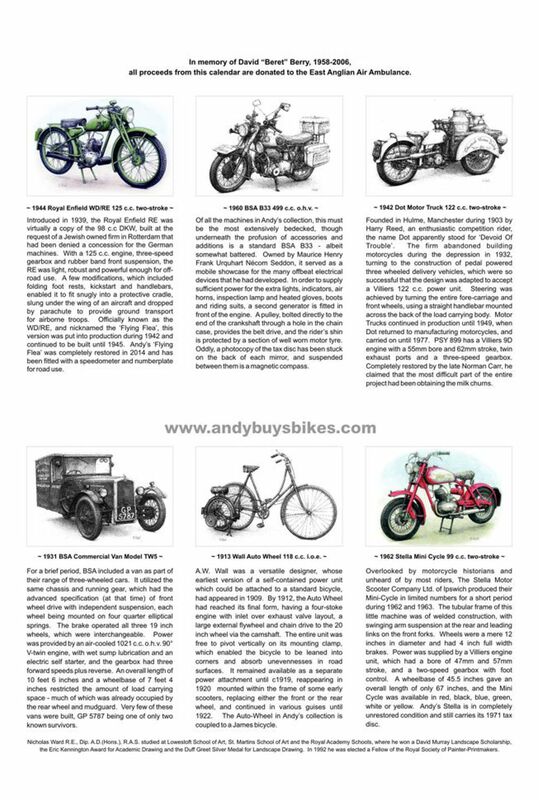 It unfolds, so that the unusual machines depicted each fill an entire A4 sheet, thus rendering oil leaks, dents, rust patches & mismatched parts clearly visible. 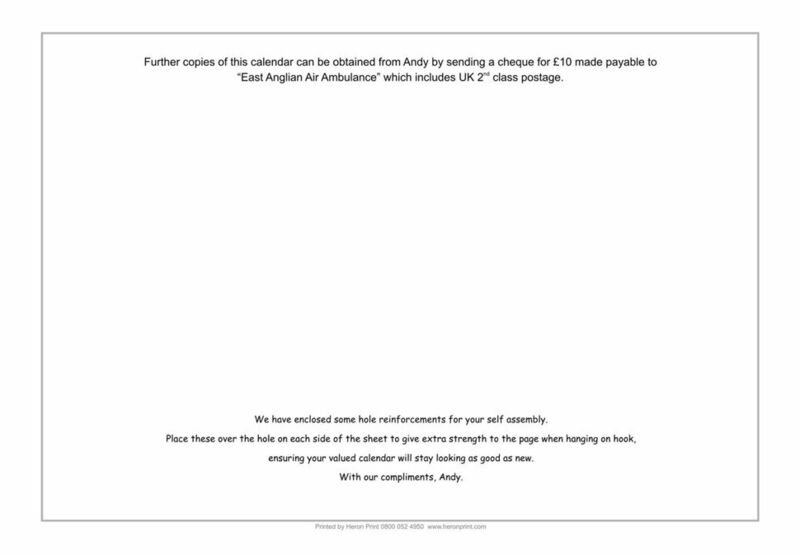 The lower part has individual days outlined, providing enough room to note down award ceremonies, hospital appointments, court appearances and other important engagements. 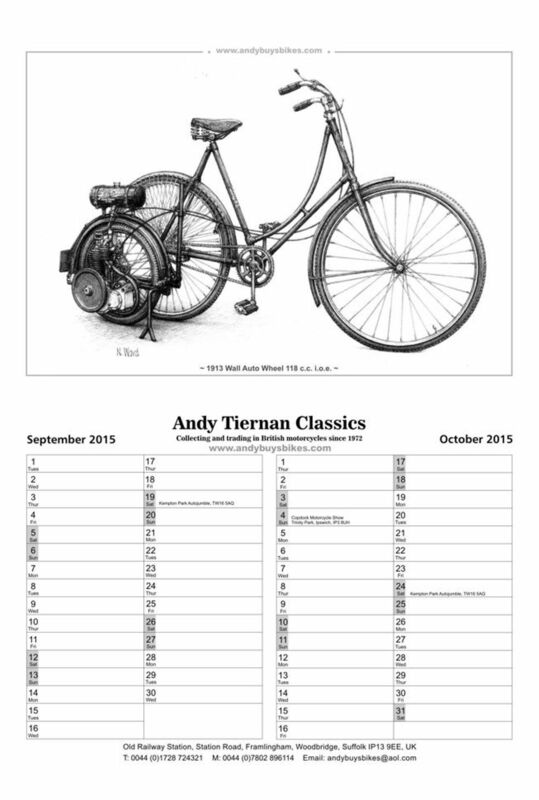 A set of clear hole reinforcers is supplied absolutely free which, when fitted, help prevent the calendar tearing itself free from any supporting hook or nail.